The province of Almeria has a long bullfighting tradition spread by multitude of towns in its province. Some localities have recovered bullfights in recent years, which is great news. The most important Fair is held in the capital, the Fair of the Virgin of the Sea. 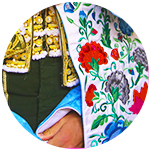 Huércal-Overa celebrates its Fair and Festivities the third week of the month of October. How to get from Huércal-Overa to Almería: Huércal-Overa is located 106 km from Cádiz (1h 13 minutes by car). How to get from Almería to Huércal-Overa. 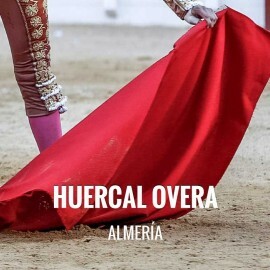 Address Huércal-Overa Bullring: C/ Córdoba 3, 04600 - Huércal-Overa, Almería. In 2018 a horse-bullfighting celebration was scheduled but suspended due to bad weather. We regret to inform you that, currently, Servitoro does not have tickets for this show, but we recommend other bullfighting experiences a few kilometers from Huércal-Overa. Servitoro, bullfighting news of Huércal-Overa Bullring, Almería.